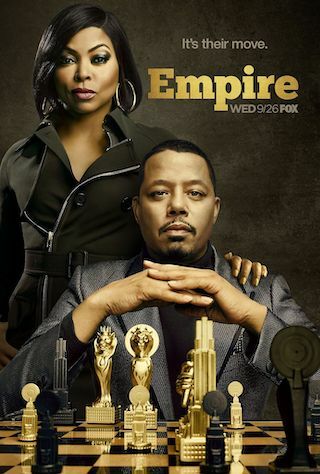 Empire is an American 60 minute scripted music television series, which kicked off on January 7, 2015, on FOX and is broadcast every Wednesday at 20:00. The show is currently in its 5th season. FOX is yet to announce the renewal of Empire for Season 6 as well as its cancelation. Sign up to track down the show's status and its release date. Cookie gets picked up by AUSA Conway, while Lucious is visited by his past. Becky, Hakeem and Andre devise a plan to save Empire by putting on a show with special guests Sevyn Streeter and Ty Dolla $ign. Meanwhile, Andre helps Empire by getting help from the last person the Lyons expect and Cookie may never forgive Lucious for what he's done. As Cookie and Lucious deal with each other's betrayals, they wonder if this could be the end for their relationship. Meanwhile, Andre's life hangs in the balance and the future of Empire is in jeopardy as the Feds close in and the mystery of who is in the coffin is finally revealed.